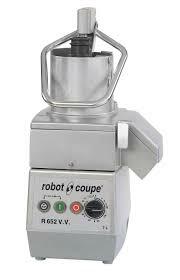 Categories: Vegetable Cutters, Blixers, Mixers, Robot Cook, Preperation, RobotCoupe, Counter Top. AUSTRALIA WIDE DELIVERY CAN HELP WITH A COURIER SERVICE IF NEEDED. FOR MORE INFO AND GOOD SERVICE CALL 0402 482208 OR 0402 888666. 5.5l stainless steel bowl with handle. SKU: CWB5PLUS. Categories: Blixers, RobotCoupe, Counter Top. Quick, efficient, simple to use and robust. Unlike other preparation machines, the Blixer« range is specifically designed to emulsify foods. The Blixer 5 is ideally suited for for cordon bleu cookery and for modified meals within nursing homes and hospitals. Includes a pulse function. 5.5Ltr stainless steel bowl with user-friendly handle. All parts that come into contact with food can be easily removed and cleaned. Scraper arm comes in two parts & is easily dismantled for cleaning. SKU: BL5VV. Categories: Blixers, RobotCoupe, Counter Top. Quick, efficient, simple to use and robust. Unlike other preparation machines, the Blixer« range is specifically designed to emulsify foods. The Blixer« is ideally suited for for cordon bleu cookery and for modified meals within nursing homes and hospitals. Includes a pulse function. 4.5Ltr stainless steel bowl with user-friendly handle. All parts that come into contact with food can be easily removed and cleaned. Scraper arm comes in two parts & is easily dismantled for cleaning. SKU: B4VV. Categories: Blixers, RobotCoupe, Counter Top. Quick, efficient, simple to use and robust. Unlike other preparation machines, the Blixer« range is specifically designed to emulsify foods. The Blixer« 2 is ideally suited for for cordon bleu cookery and for modified meals within nursing homes and hospitals. SKU: B2. Categories: Blixers, RobotCoupe, Counter Top. Quick, efficient, simple to use and robust. Unlike other preparation machines, the Blixer« range is specifically designed to emulsify foods. The Blixer« 3 is ideally suited for for cordon bleu cookery and for modified meals within nursing homes and hospitals. SKU: B3. Categories: Blixers, RobotCoupe, Counter Top.